Because so many of you suggested we come out with a color line, GTechnologiescreated the first lip protector infused with pearl. Lip Lytes, made with natural ingredients, protects your lips while adding a beautiful hue of color. Your gift bag you will receive our newest product: Lip Lytes. 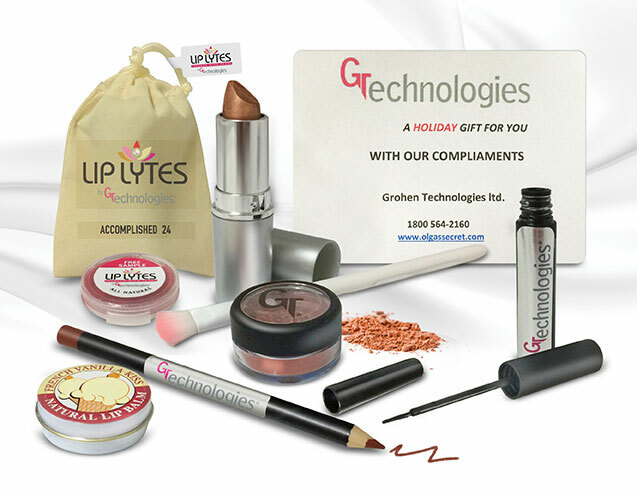 send you our holiday gift bag; a $100.00 value for FREE, with our thanks. ** As quantities are limited; one gift bag per customer with your order. We want to wish you and your family a happy and healthy Thanksgiving and a wonderful holiday season filled with joy and peace.